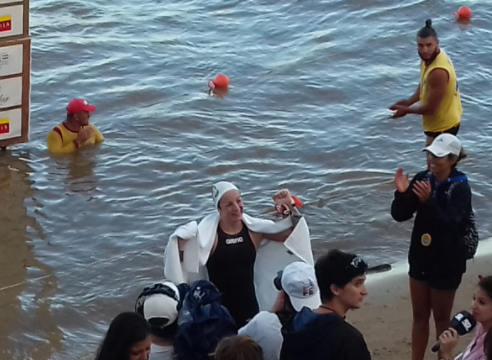 Barbara Pozzobón has been getting better and better over her open water swimming career. 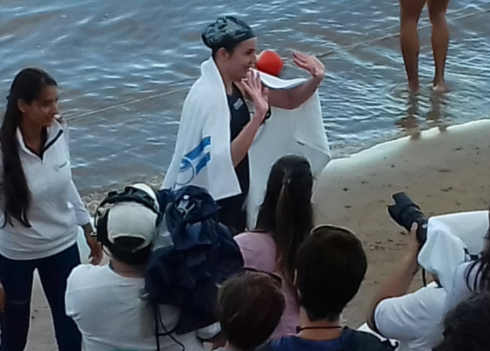 Today, she earned her first FINA Open Water Swimming Grand Prix circuit victory in the 57 km Maratón Acuática Internacional Santa Fe - Coronda. Pozzobón won the 43rd edition of the river race in 8 hours 53 minutes over second-place Alice Franco of Italy [shown above] in 9 hours 1 minute and third-place Aurélie Muller of France in 9 hours 5 minutes.